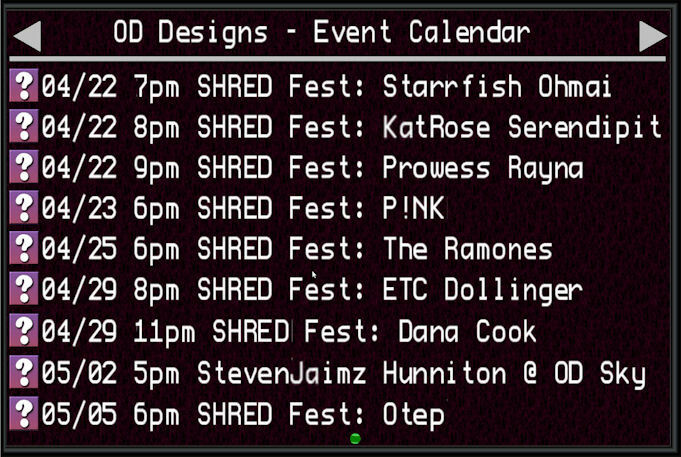 OD's google calendar board is a modifiable calendar board which is linked to your google calendar. 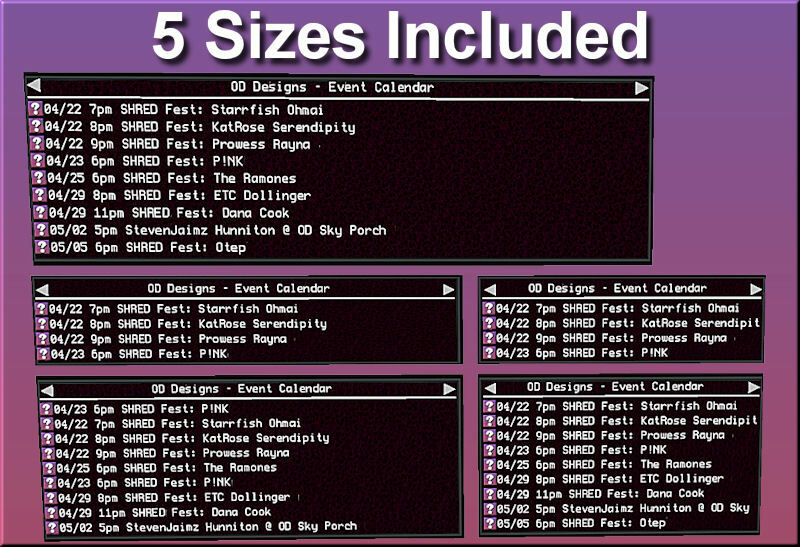 This is the easiest way to display your event schedule in your club, music venue, etc. Google calendars are share-able, very powerful, and managed off-world in your internet browser. If you don't have a google account, get one today. Very powerful stuff.